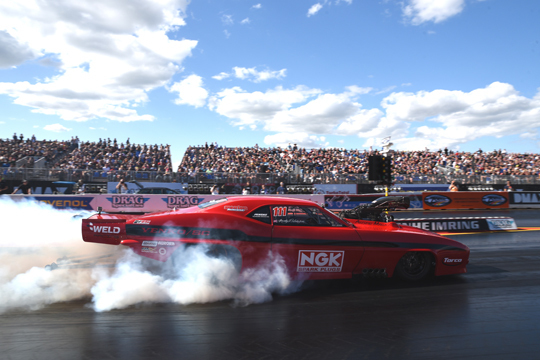 The 2017 FIA European Drag Racing Championship goes down to the wire with the European Finals at Santa Pod Raceway. 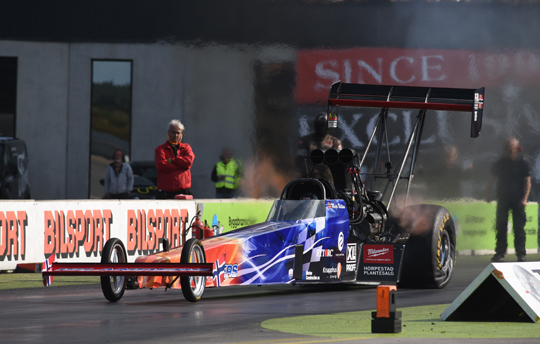 In Top Fuel Duncan Micallef is the leader, but the Maltese driver saw Antti Horto reduce the gap with a win at Tierp Arena. 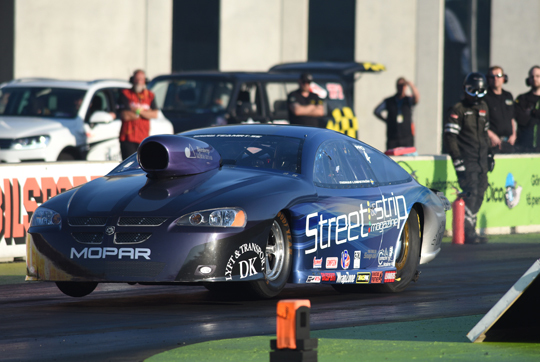 The same is true for Bengt Ljungdahl in Pro Stock, as Stefan Ernryd came back in the title race with a win at Hockenheim and a runner-up finish at Tierp. In Top Methanol Timo Habermann is the clear favourite to claim the title, while in Pro Modified Michael Gullqvist will very likely retain his FIA European championship. But in racing strange things can happen, so nothing is decided yet. 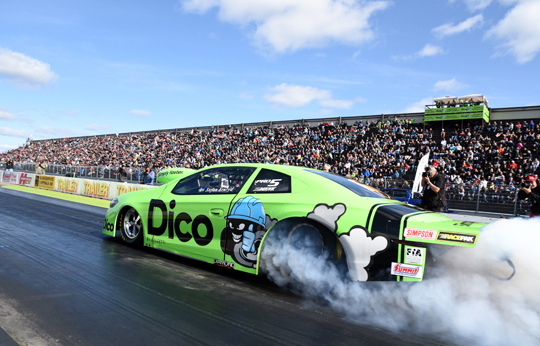 After five races in four different countries the FIA European Drag Racing Championship is back at Santa Pod Raceway for the traditional season finale. Following back to back rounds in Germany and Sweden, the teams will have their third race in four weeks. All want to end their season on a high and for some of them, that high will be the FIA European Championship title. 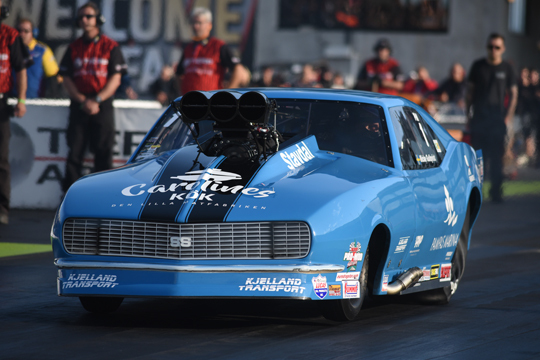 Top Methanol will have its first champion as a combined category for Dragsters and Funny Cars, while Top Fuel and Pro Stock will crown a new champion who has never won this title before. Only Pro Modified will very likely have a champion who knows what it’s like to win the biggest trophy. 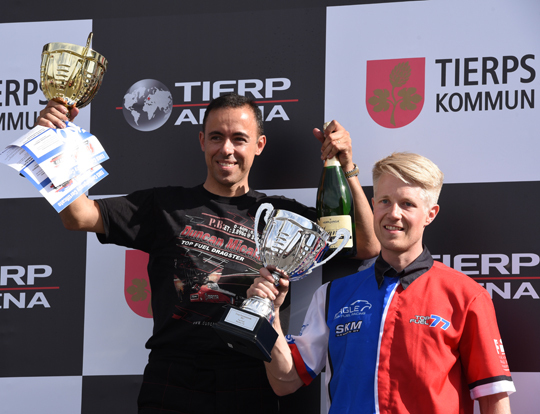 After his Dico Internationals win at Tierp Arena, Antti Horto is back in the title race. With three consecutive wins at his credit, Duncan Micallef was undefeated this season, until that first round at Tierp Arena. Once again this season the Maltese championship leader had to face reigning champion Anita Mäkelä in the first round, but for the first time the Rune Fjeld Motorsport driver was defeated. Horto made the best of it, won the race and will start the European Finals with a 51 point deficit. 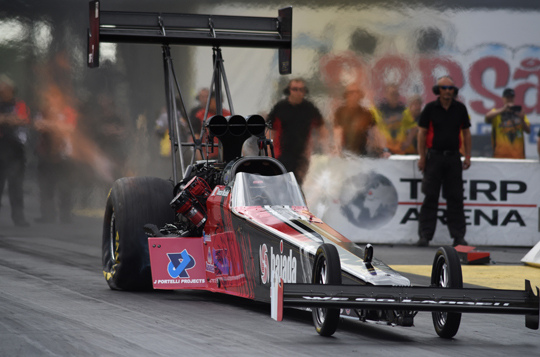 It’s a lot, and Micallef is still the favourite to claim his first FIA European Top Fuel title, but if the same happens at Santa Pod as happened at Tierp, Horto will have the number one on his car next year. One thing is for sure, Micallef will get the support of numerous Maltese fans in the grandstands, and the island in the Mediterranean Sea will go crazy if Micallef wins the championship. Stig Neergaard is the number three in the championship, but after two first round exits in a row, the Dane is 112 points behind Micallef. Liam Jones is only two points short of the Dane in fourth position. The Rune Fjeld Motorsport driver has been extremely quick this season, but his luck has deserted him in eliminations. However, don’t be surprised to see Jones win his first race at his home track. Michael Kågered is the number five in the championship, 18 points short of Jones, and was the latest addition to the Euro Finals entry list. Anita Mäkelä has a very difficult 2017 season, with bad luck and engine damage, and so the reigning champion is in sixth position. But Mäkelä is always positive and a good result in England will be a boost to start a new championship assault in 2018. 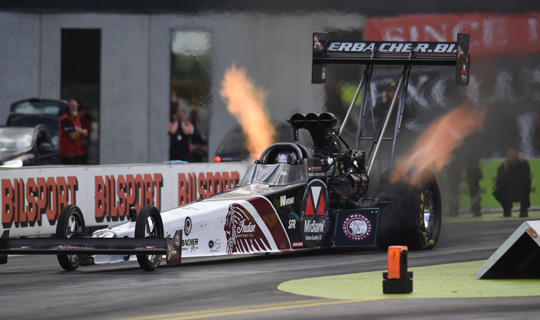 Jndia Erbacher replaced her famous dad and multiple FIA European champion Urs Erbacher in the seat of the Erbacher Racing Top Fueler this season. 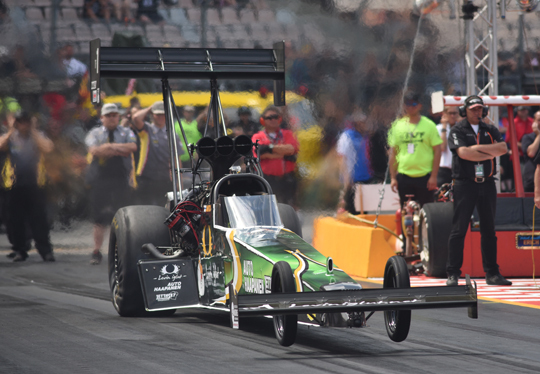 The 23-year old Jndia impressed during her licencing procedure and stunned the crowd at her ‘home track’ Hockenheim with a runner-up finish in her Top Fuel debut. The popular Swiss driver wants to end the season on a high, and will be back for more next season. Stefan Gunnarsson has only competed in two races this season, but can be very quick and destroy the championship dreams of the favourites. 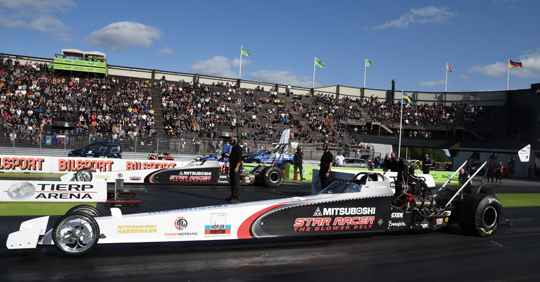 Special attention will be paid to Maja Udtian, the 19-year old Norwegian driver who will make her Top Fuel competition debut at Santa Pod. 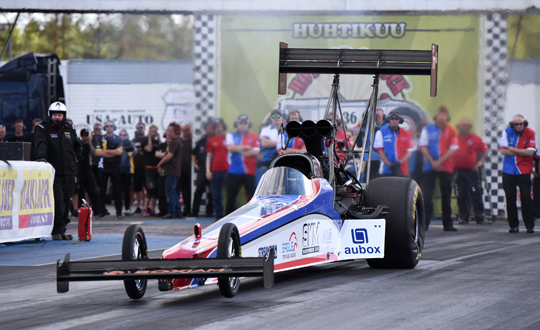 The talented former Junior Dragster and Super Comp driver impressed during the licencing procedure that she completed with a great 4.11 second pass at Tierp Arena during the Dico Internationals. 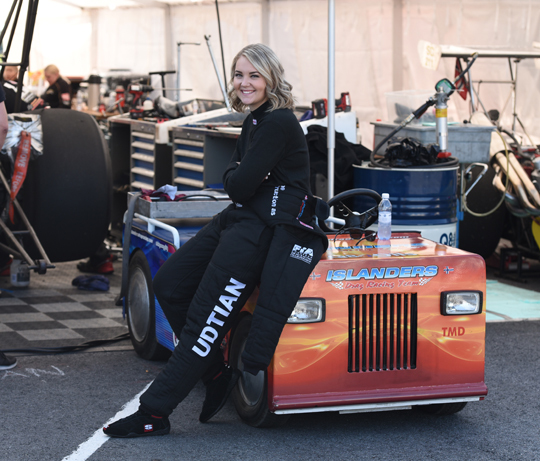 It will be interesting to see what the rookie Top Fuel driver from a real drag racing family can do in her first official Top Fuel race. After three races this season, it looked like Bengt Ljungdahl would be crowned as the 2017 champion even before the final of the season was there. But at Hockenheim two-times runner-up Stefan Ernryd defeated Ljungdahl for the first time and took the win. A week later at Tierp Ernryd finished runner-up, while the championship leader went out in the first round. As a result, Ernryd is now only 36 points short of Ljungdahl, less than two round wins. Michael Malmgren is the number three in the championship, but can only go for a race win and not improve his position in the championship. Thomas Lindström, Magnus Petersson and Robin Norén are the numbers five, six and seven in the championship, and these three Swedes will also be at Santa Pod to score some extra points in the championship. Last but not least there is Simon Gustafsson, and with seven entrants, the European Finals have a healthy entry in the factory hot rod category as well. Top Methanol for Timo Habermann? One thing is for sure, a Habermann will be the champion in Top Methanol this season, and it’s very likely that it will be Timo Habermann. Timo won at Alastaro and Hockenheim, was runner-up at the Dico Internationals and has a 79 points lead over his brother Dennis Habermann. Sandro Bellio is the number three in the championship, but the Belgian driver is 116 points behind Timo Habermann. But still, Bellio is the driver that impressed the most this season as he could only score points in three races. At The Main Event Bellio had to do his licencing runs and the Belgian team had to skip the Alastaro race due to work commitments at home. Bellio won his debut Top Methanol race at Tierp in June, finished as the runner-up at Hockenheim and won again at Tierp’s Dico Internationals. Also impressive were the elapsed times the Belgian team were running, with 5.44 seconds at Tierp, close to Jonnie Lindberg’s European record, as a highlight. 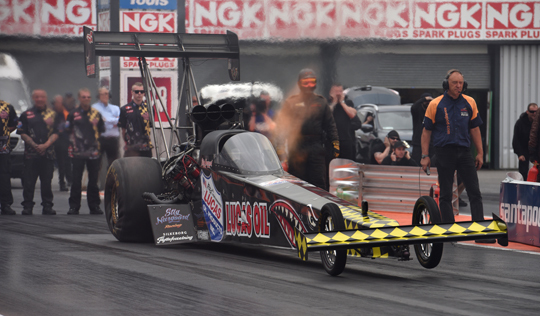 Jonny Lagg, the number four in the championship and the still reigning Top Methanol Dragster champion will also be at Santa Pod. Jürgen Nagel, Stephanie Milam and Rod Harrison make the field up to seven. 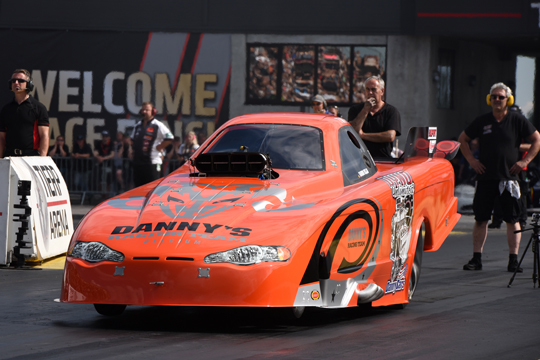 Micke Larsson is also on the entry list, but it is very unlikely that the Swedish Funny Car driver will be in England as the team suffered so many mechanical problems that Larsson had to withdraw from eliminations at Tierp. With a 119 points lead over Jimmy Ålund, the chance that Michael Gullqvist will retain his FIA Pro Modified title is almost 100%. The reigning champion dominated the Dico Internationals with four consecutive 5.8-second runs in eliminations and a new European record as a highlight. David Vegter is in third position, 58 points behind Ålund. 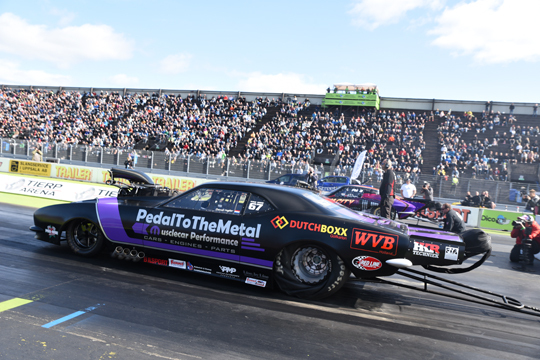 With two first round exits in a row, the Dutch PTTM Drag Racing driver lost many points in the title race, and even worse, destroyed an engine at Tierp. The team are working around the clock to get all the parts in time to build a new engine for the ’67 Camaro. 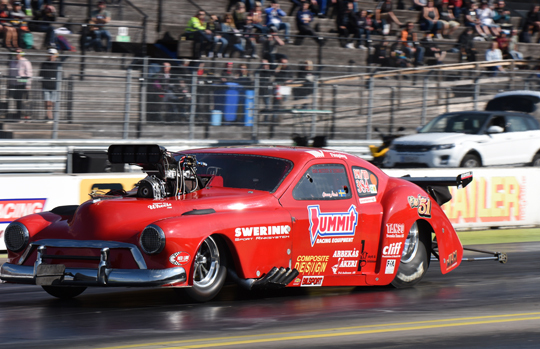 Åke Persson is the number four in the championship, but the Swede is only doing the Scandinavian races and will not be at Santa Pod. 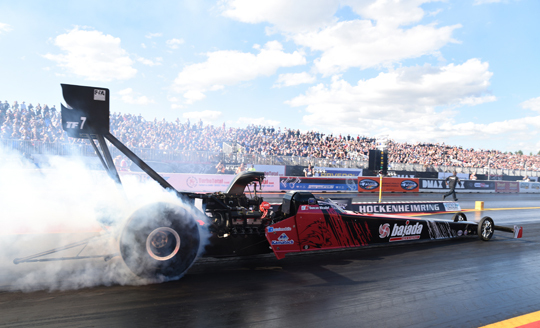 Åke Persson is the only top seven driver from the FIA European Pro Modified Championship points standing who is not at the European Finals, as the number five, six and seven, Bruno Bader, Håkan Persson and burnout king ‘Fast Freddy’ Fagerström are all on the entry list. Bader is 65 points behind Vegter, so the Dutch driver will have to race to remain in third position. 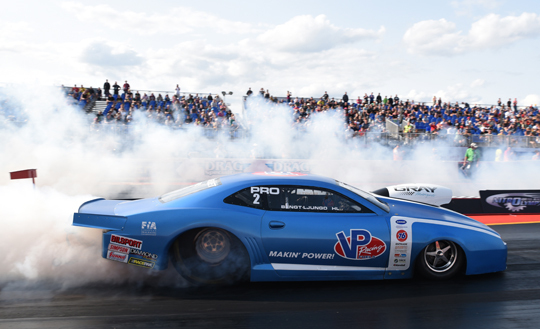 Pro Modified has no fewer than 22 entrants for the last FIA race of the season. 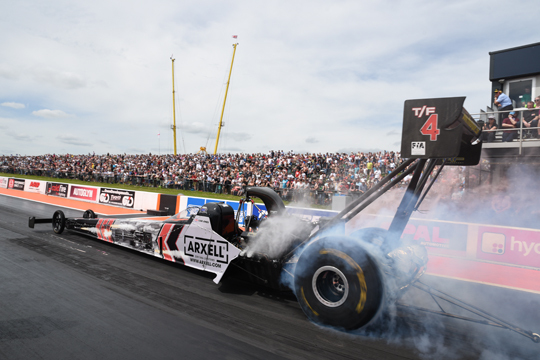 Apart from the six drivers mentioned before, there are many extremely quick combinations at Santa Pod. From Sweden comes Jan Ericsson, from Denmark comes Kim Kristiansen and of course local hero Andy Robinson is at his home race. 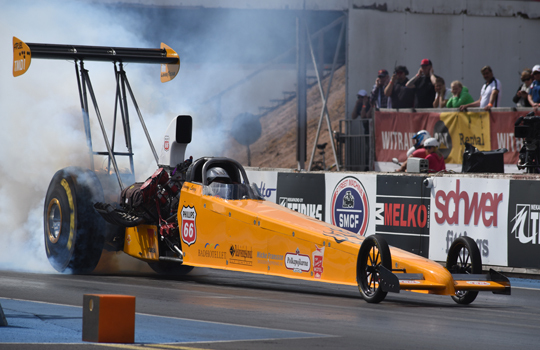 There is also a welcome return to Santa Pod for Roger Johansson. But there are many more drivers who can run low 6-seconds, or even quicker. 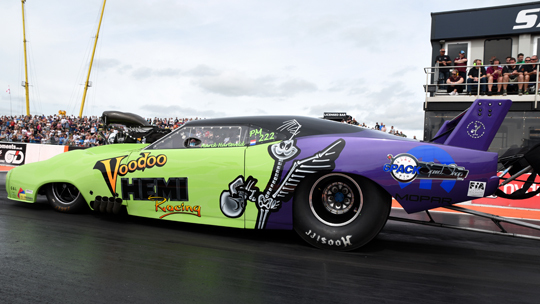 From The Netherlands come Michel Tooren and Marck Harteveld, the Voodoo Hemi Racing driver who reset his personal best at Santa Pod and Hockenheim this season. From Germany come Norbert Kuno and Marco Maurischat, and all the way from Kuwait Hussain Al Shammari. But never underestimate the many British drivers at their home race, like Philip Englefield, Kev Slyfield, Bobby Wallace, Chris Isaacs, Wayne Nicholson, Mick Payne and Jon Webster with his new state-of-the-art turbo Ford Mustang. 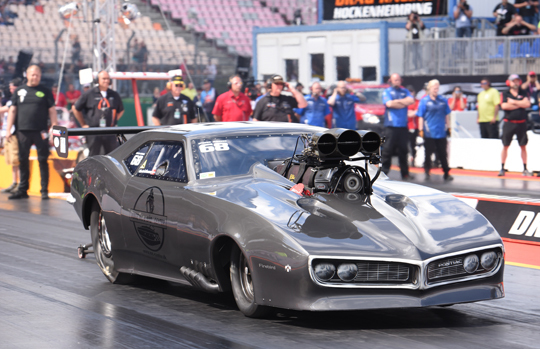 Pro Modified at the European Finals will be intense and exciting! Qualifying for the European Finals will start Friday September 8th and will continue Saturday September 9th. Eliminations will start Sunday morning September 10th.